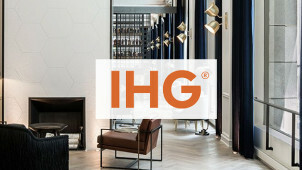 A little touch of luxury is important when you’re on your travels, and wherever you may want to go - from New York to Tokyo, Adelaide to Berlin - when you book to go abroad, you will be sure to find an IHG hotel to give your getaway a truly unique edge. Whether you’re travelling for business or leisure, with friends and family, a loved one of colleagues, IHG prides itself on providing a plethora of brilliant accommodation to choose from across the globe. From Holiday Inn to Crowne Plaza - IHG has plenty of hotels under its wing to always provide the perfect accompaniment to every person's trip. Take a look at some of the options awaiting you, filter through the resorts, spa hotels and newly built destinations all over the world, or simply pick your choice of the dozens of cities all around the world that are playing host to a touch of IHG luxury. Check out the blog to unveil inspiration galore, for where to go, what to do, see and even eat. From helpful hints for parents travelling with energetic kids, to romantic suggestions for couples and adrenaline fuelled or cultural experiences for friends and families to enjoy - you can be sure that with IHG - your holiday will be one to remember. Prestige is an understatement for this brands, making it the perfect host for a wedding, business trip, conference or meeting. Now you can explore the world in style, with an ample offering of beautiful hotels, conference spaces and service for that final cherry on top. After all, the special touches make all the difference. How do I use my IHG discount code? Complete your booking at the discounted rate. Get those exclusive deals and IHG offers by simply signing up for emails. Part of the enjoyment of the IHG rewards club, with Accelerate, you may be able to earn bonus points between certain periods of travel! Is there an IHG app? Indeed, downloading the IHG app will mean that you can enjoy easy booking and management of your trip while you’re on-the-go! Can I make an amendment to my IHG booking? Simply log into the ‘Manage your stay’ page to find your booking and then to follow the instructions on how to change your reservation. A confirmation of your reservation will be emailed to you, and your confirmation numbers will also be available via the app and online using your login details. Call: 0871 423 4896 for reservation enquiries. Home comforts are hard to come by when you’re off exploring the world with family and friends or on business. It’s easy to feel like you’re pushing the boat out, but with an IHG discount code you can ensure that you don’t go overboard while you enjoy accommodation in stunning locations. Each hotel with a distinctive style, city-centric, landmark adjacent and out in the midst of paradise. The variety with IHG is enviable, but thankfully, not out of reach. When you get on board with IHG rewards, you can go places and redeem points to make every stay, extra special. By earning with the rewards club, you’ll tot up points on your balance to then redeem on some seriously great rewards. With benefits such as free internet, worldwide, exclusive rates, rollover nights and many more on top of IHG codes - this is exceptional living when luxury travel is at your fingertips. Booking an IHG hotel for a meeting or group event is a surefire way to get an exceptional experience when you need it most. For a conference with impact, for a memorable family event or a casual holiday for a group of friends, IHG vouchers will let you save on a great experience to savour and remember. Even for a wedding or other grand occasion, prepare to be impressed with the level of service which IHG will have in store for you.